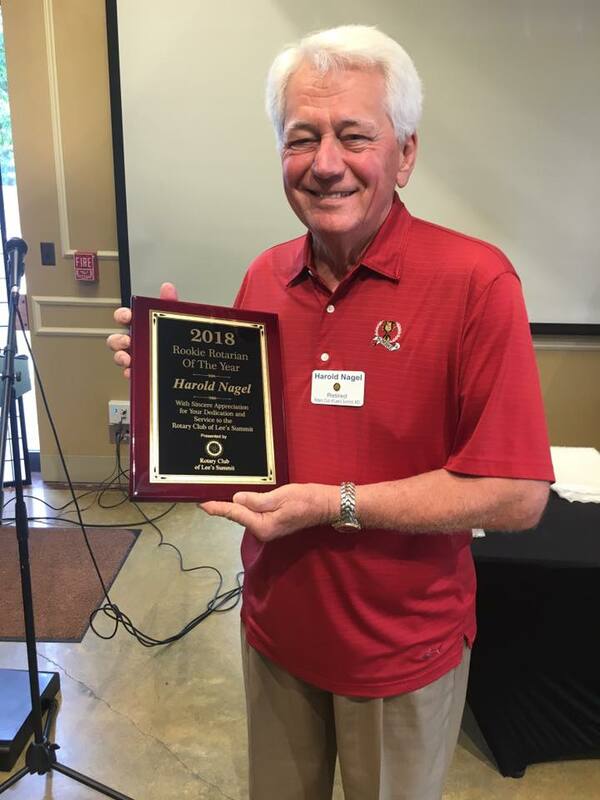 On June 7th, 2018 Harold Nagel was given Rookie Rotarian for the Rotary Club of Lee's Summit. Harold has been a member of Rotary for years, but less than two with the Rotary Club of Lee's Summit. In that time, he brought our first Interact Club from Summit Christian. Thanks Harold for your service this past year.